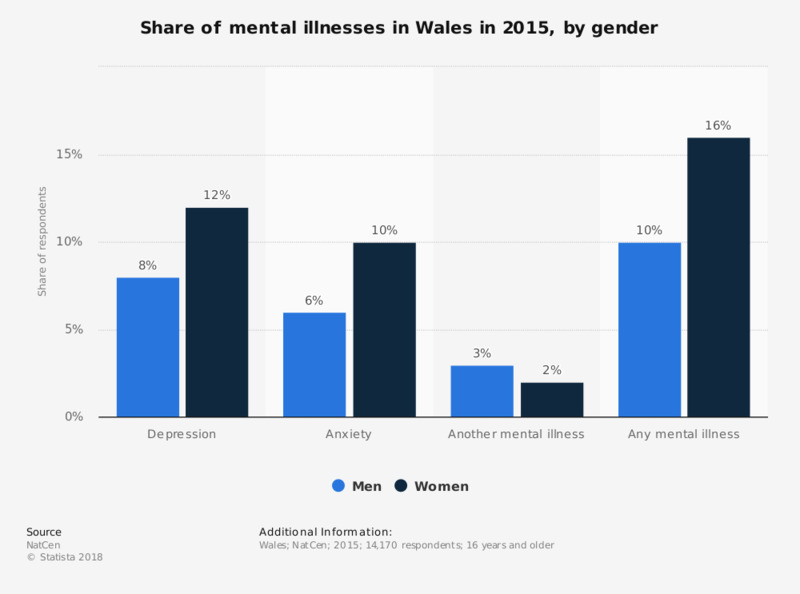 This statistic displays the mental illnesses of individuals by gender in Wales (United Kingdom) in 2015. In this period, six percent of men and ten percent of women surveyed had anxiety. - mean score, higher scores indicate better health or well being.